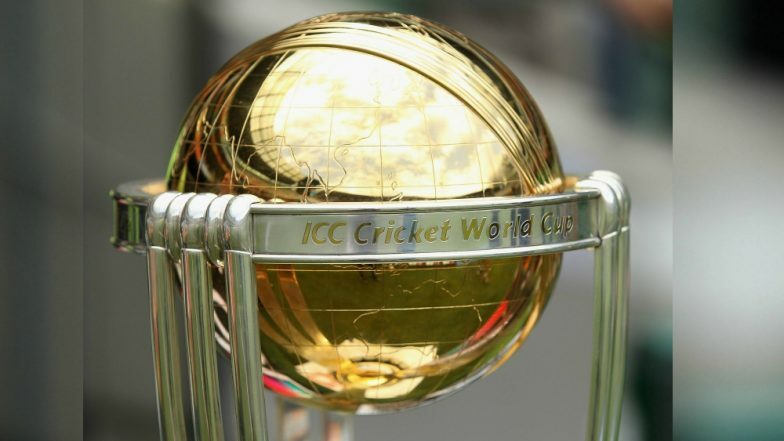 The stage is all set for a marvellous battle between the top 10 cricket sides of the world, to play for the most sought after trophy, The World Cup. England being the host nation and the country that has historically been instrumental in projecting and popularising cricket, has that aura like nowhere else. A World Cup final win on July 14, at the Mecca of cricket, "Lords", is what each team would be wishing for and would be remembered for years to come. The venue itself, with a well preserved museum and cricket artefacts brings forth a feeling of nostalgia among cricket lovers and followers of the game. Each side is in the process of selecting their cricket warriors considering the skills and acumen required to not only beat their nine other rivals, but also to withstand the vagaries of the English weather. The climate change that the world is facing, has made it even more difficult to predict as to what one may encounter and therefore, selecting the right players could become a major factor for all the sides. India’s Likely Squad for ICC Cricket World Cup 2019: KL Rahul Could Find a Place; Rishabh Pant, Dinesh Karthik Might Miss Out. A tricky situation, as sides will need to ensure that they have the right arsenal of quick bowlers and spinners in their fold to be able to counter either a hot, humid or a wet and dreary English day. The Indian cricket selectors, the wise-men of Indian cricket, are expected to announce the Indian team for the World Cup on Monday (April 15). The irony is that none of them have played International cricket in England or have been a part of a World Cup side. Pakistan Squad for ICC Cricket World Cup 2019: PCB Announces 23 Probables; Wahab Riaz, Umar Akmal and Ahmed Shehzad Likely to Miss WC. Rohit Sharma will, in most probability, be his deputy and the performance of India in the World Cup will have a large bearing on Kohli's future as an Indian captain in the limited overs game. India has a set opening pair in Rohit Sharma and Shikhar Dhawan. The just in time good IPL performance by K.L. Rahul has made him a front runner for the 3rd opening spot, in the event that Sharma or Dhawan need to be replaced. Although, Rahul does have the experience, I feel India needs to bring in a youngster. Prithvi Shaw should be the player to consider, after all, a century on debut in Ranji, Duleep, Irani Trophy and in Test cricket is a tremendous feat. There is therefore, very little to debate as regards his class and the World Cup platform will do a world of good for his development. The bowling unit is where India has established themselves. The two wrist spinners in Yuzvendra Chahal and Kuldeep Yadav and the left arm finger spin of Ravindra Jadeja along with Kedar Jadhav's off breaks -- India should have an effective spin attack, on a hot and dry English day. India's most destructive weapon is their pace attack. Jaspreet Bumrah, Bhuvneshwar Kumar and Md. Shami are 3 of the top bowlers in world cricket and with Hardik Pandya and Vijay Shankar to assist them, on a typical cold and cloudy English day, Virat Kohli will have enough options. The second wicketkeeper as well as the number 4 batting spot is the only area of concern for selection. K.L. Rahul can be considered as a batsman and an optional wicketkeeper. My vote would go to Rishabh Pant, who is an extraordinary striker of the ball. His keeping will improve with experience, after all Dhoni was also not considered a great keeper during his early days.